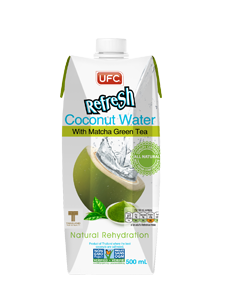 UFC Refresh Coconut Water with Matcha Green Tea is tapped into Asian preference. When the perfect blend of 100% coconut water and matcha green tea come together, you get a refreshing mind and body treat loaded with goodness. The drink makes it a delicious choice for those going to naturally rehydrate yourself.